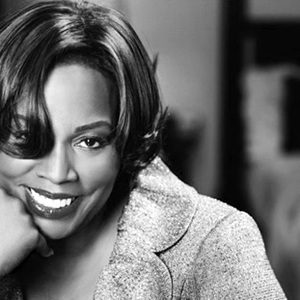 Dianne Reeves, born 23 October 1956 in Detroit, Michigan, is an American jazz singer, known more for her live performances than her albums. Alongside her peers Dee Dee Bridgewater, Diana Krall and Cassandra Wilson she is considered one of the most important female jazz singers of our time. She lives in Denver (Colorado/USA) Dianne came from a very musical family. Her father, who died when she was two years old, was also a singer. Her mother, Vada Swanson, played trumpet. A cousin, George Duke is a well known piano and keyboard player and producer. Dianne came from a very musical family. Her father, who died when she was two years old, was also a singer. Her mother, Vada Swanson, played trumpet. A cousin, George Duke is a well known piano and keyboard player and producer. Dianne and her sister Sharon were raised by their grandmother in Denver, Colorado. As a child Dianne took piano lessons and sang at every opportunity. When she was 11 years old her interest in music was enhanced by an inspiring teacher who thought that music was the best way to bring students together. Dianne discovered a love of music and that she wanted to be a singer. Her uncle, Charles Burell, a bass player with the Denver Symphony Orchestra, introduced her to the music of jazz singers, from Ella Fitzgerald to Billie Holiday. She was especially impressed by Sarah Vaughan. At the age of sixteen she was singing at the George Washington Highschool in Denver, in a highschool bigband. That same year the band played at a music festival (Convention of the National Association of Jazz Educators). Her Band won first place and it was there she met the trumpeter Clark Terry, who after discovering her became her mentor. A year later she began studying music at the University of Denver, before she moving in 1976 to Los Angeles. In L.A. her interest in Latin-American music grew, and she began experimenting with different kinds of vocal music and finally decided to pursue a career as a singer. She met Eduardo Del Barrio, and she toured with his group "Caldera" and sang in Billy Child's jazz band "Night Flights". Later she tour with Sergio Mendes. From 1983 until 1986 she toured with Harry Belafonte as a lead singer. This period saw her first experiences with world music. In 1987 she became the first vocalist to sign with Blue Note records. She moved back to Denver from Los Angeles in 1992. She sang at the closing ceremony of the 2002 Winter Olympic Games in Salt Lake City. She is the only singer to have won this Grammy in three consecutive years. 1999 - Bridges... produced by George Duke.